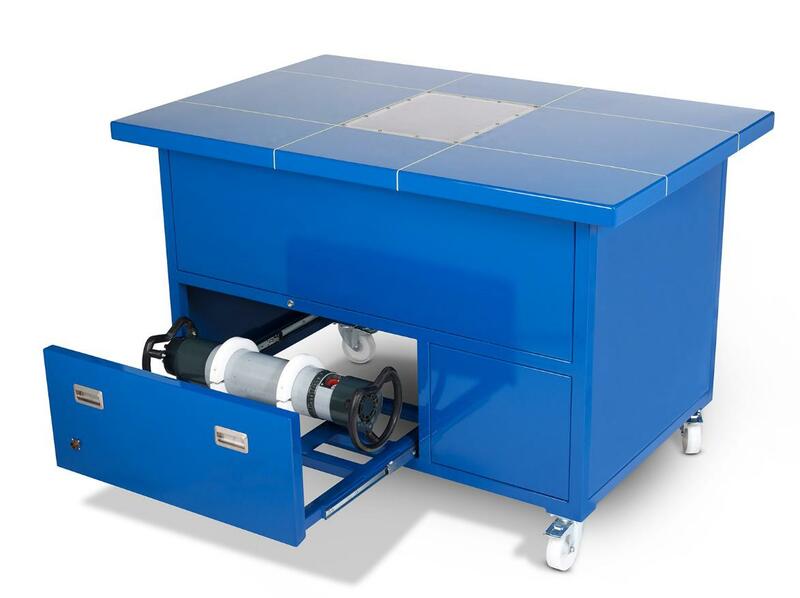 Euroteck are able to offer larger bespoke cabinets rated up to 225kV. The advantages of these larger X-Ray cabinets are that they are portable. Traditional X-Ray compounds or Radiographic cells are manufactured from a mixture of concrete, lead blocks and steel. These are permanent structures. If the workflow of the business changes, the existing structure cannot easily be relocated. With the Euroteck designed X-Ray cabinets, these can be easily relocated with a FLT. Simply disconnect from the mains power supply and then reconnect once the X-Ray cabinet has been re-sited. Production down time is therefore kept to an absolute minimum. A few of our recent bespoke X-Ray cabinets are illustrated below. Shown above: “Art Table” – 50kV rated X-Ray Table for X-Ray of large paintings.